We love to work with Nitto Kohki with their line of automated magnetic drills. Advanced Technology Reducing Hole Drilling Cost. • Load detection system monitors and regulates motor speed and cutting feed for optimal drilling condition. This system will improve your productivity, improve the cost per hole and provide longer tool life. With the high demand for our sharpening service for the annular cutter bits we decided to add the Hougen 10950 magnetic drill cutter sharpener. 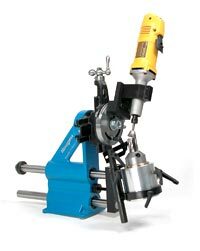 The Model 10950 has been specifically designed for resharpening Rotabroach “12,000-Series” and Rotaloc Cutters. Provides ease of operation while restoring original factory specified tooth geometry. This machine is great for the Hougen 12,000 series cutters and we also have the fixture to sharpen the Hougen Rotoloc and the Hougen Rotoloc Plus cutters. With this new machine we able to decrease our lead times for the sharpening services and also provide excellent results with all the different Hougen annular cutter geometries. Give us a try and you will be very happy with your newly sharpened cutters. The pilot pin allows you to accurately position the cutter. 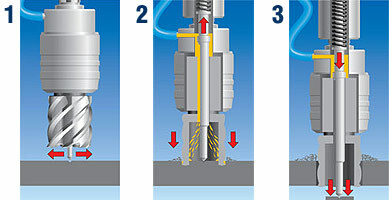 During drilling, the pilot pin retracts and allows internal coolant to reach the cutting teeth. When the hole is complete, the slug is automatically ejected from the cutter. 1. Centering: The Pilot pin accurately centers cutter over area to be drilled. 2. Oiling: During drilling, the pilot pin retracts and allows internal coolant to reach the cutting teeth. 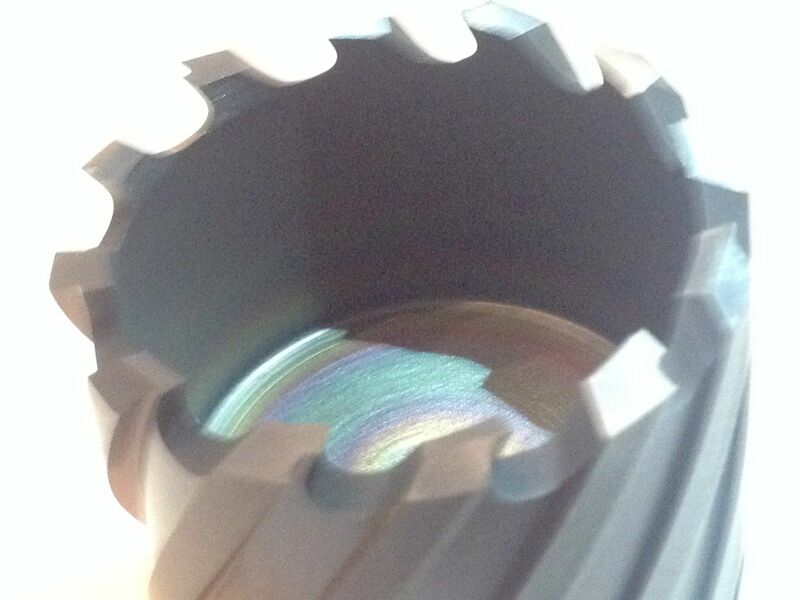 The cooling of annular cutters is internal. The internal lubrication is provided through a hole with the help of a pilot pin. 3. Ejecting: When hole is complete, the slug is automatically ejected from the cutter. 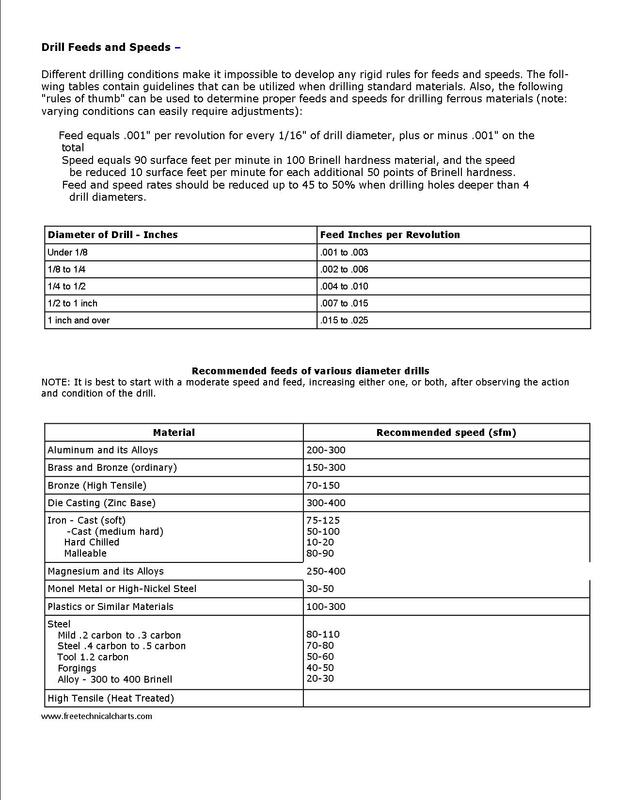 The following tables contain guidelines that can be utilized when drilling standard metal materials. • Speed equals 90 surface feet per minute in 100 Brinell hardness material, and the speed be reduced 10 surface feet per minute for each additional 50 points of Brinell hardness. • Feed and speed rates should be reduced up to 45 to 50% when drilling holes deeper than 4 drill diameters.